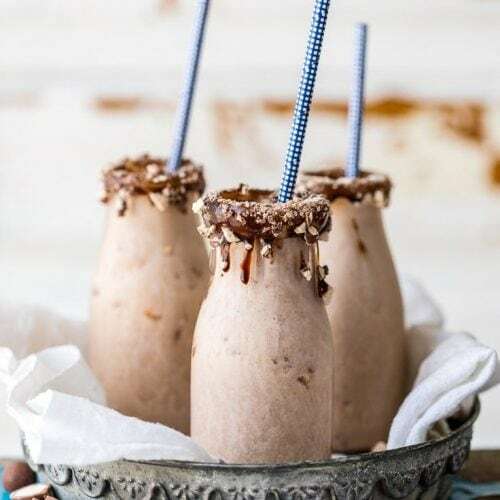 This Chocolate Banana Malt Milkshake is my favorite easy sweet treat! Thrown together in minutes with only 5 ingredients, it doesn’t get any better! Combine all ingredients in a high powered blender. Blend until fully combined and creamy. For a thinner shake, add more milk.